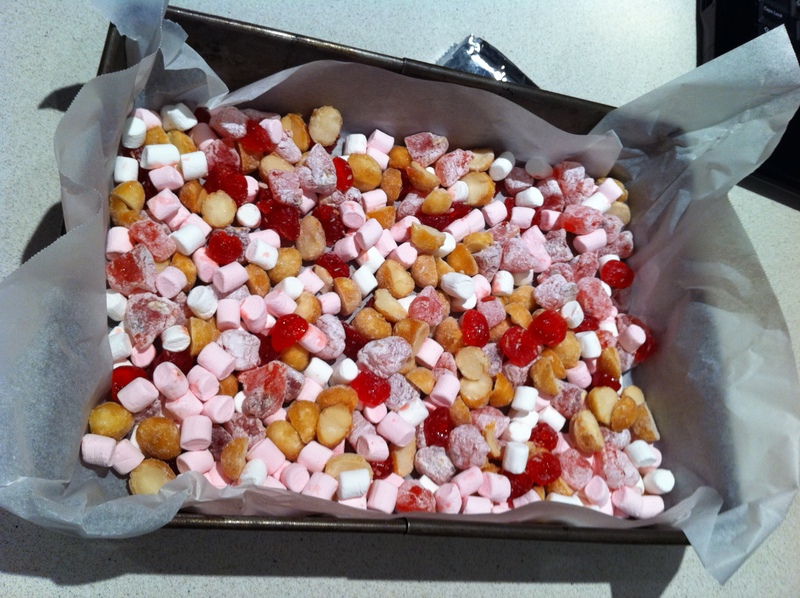 A couple of years ago my flatmate at the time brought home some rocky road that her work mate had made. Lucky for me my flat mate didn’t like rocky road so she gave it to me. 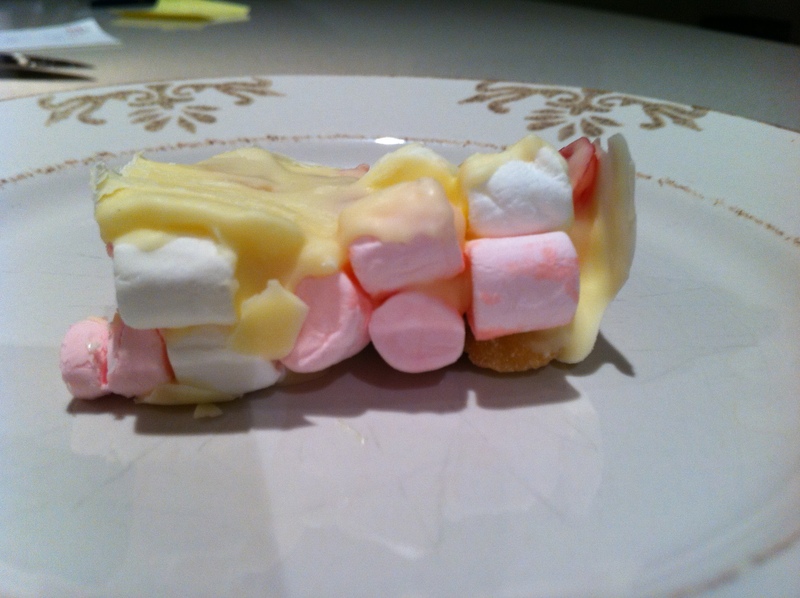 The rocky road had to be the best that I had ever tasted so I asked for the recipe. 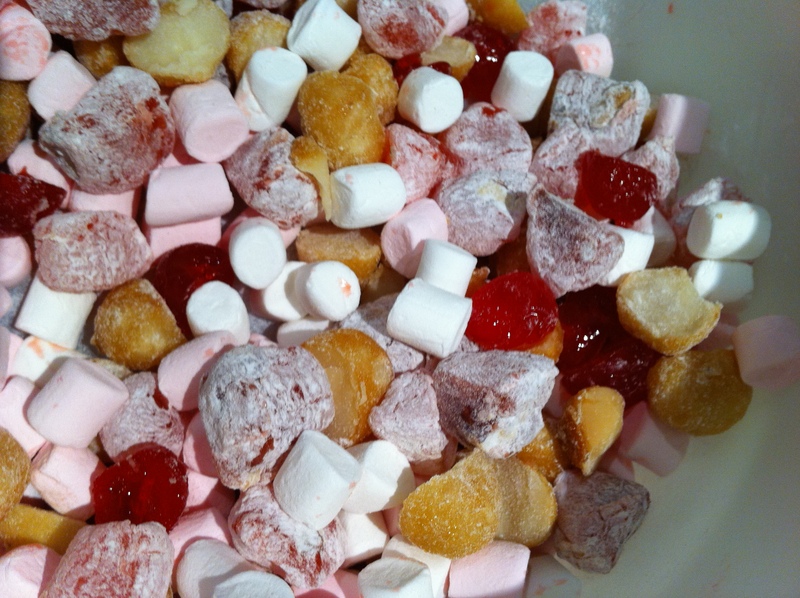 However, for some reason or another I never got around to making the rocky road. This year though, since I am working on Christmas Eve, I decided to bring something yummy into work for everyone. I decided I would therefore make the rocky road, however use white instead of milk or dark chocolate to give it that Christmas touch. 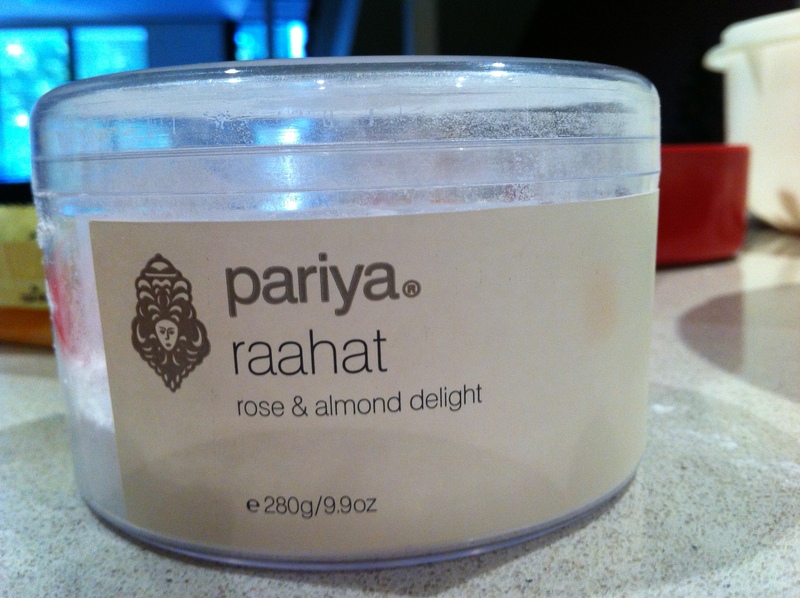 It was a bit of a mission to find gluten free turkish delight, however I finally found some at a deli in Chatswood (pariya raahat rose & almond delight). After making the rocky road I found out that the turkish delight at Fruit Ezy in Chatswood Chase and Chatswood Westfield is also gluten free and a lot cheaper. 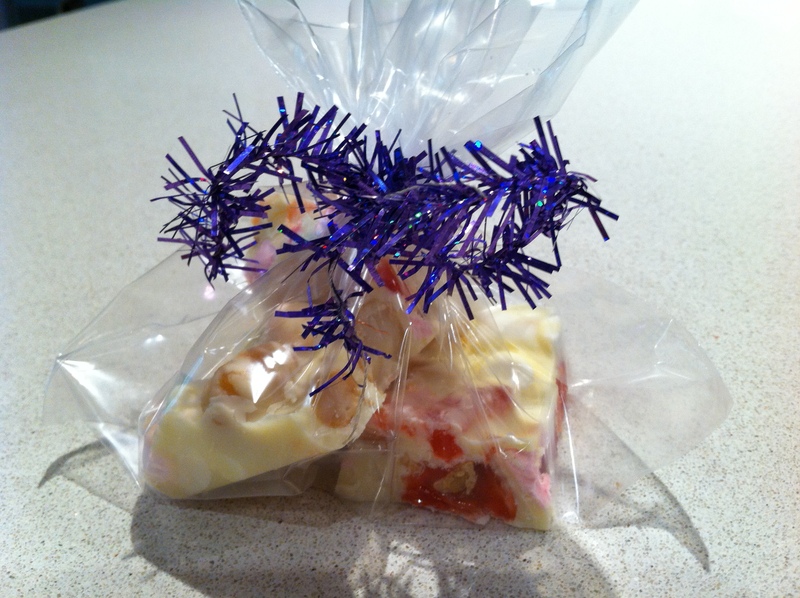 This rocky road is really easy to make and great to give as Christmas presents in some cellophane with a ribbon or some tinsel. 3. 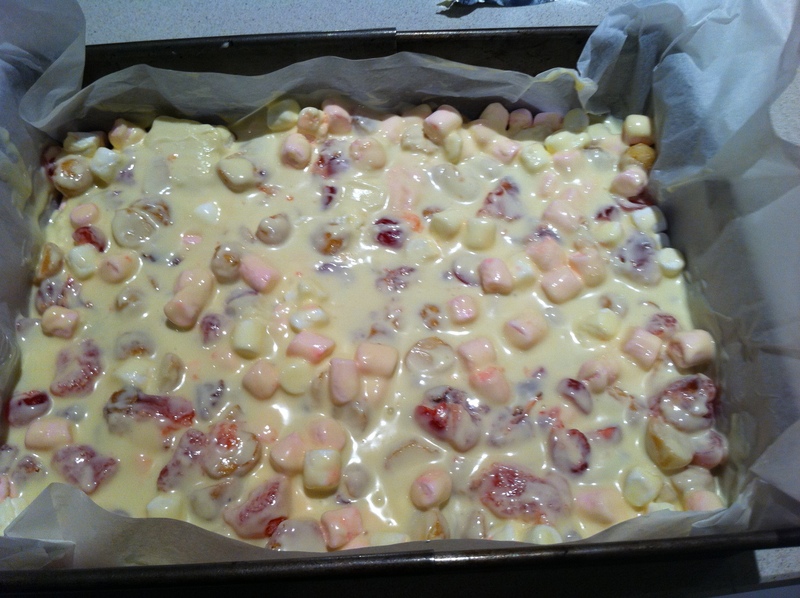 Layer a rectangular cake tin with baking paper and drop the dried ingredients in. Smooth them out so ingredients are evenly laid out. As you can see I didn’t have quite enough chocolate for the edge pieces so it would be worth melting a bit more chocolate as too much is better than too little! Do you like baking Christmas gifts?